Jacqueline Tatelman is the co-founder and creative director of STATE, a brand selling beautiful, functional bags that benefit children in need. For each bag sold, STATE donates to American kids, to fund whatever it is they need most. That’s a mission we can definitely get behind. The company’s products are made for the on-the-go consumer, and can be found on top retailers such as Bloomingdale’s, Shopbop, Nordstrom, and Bandier. 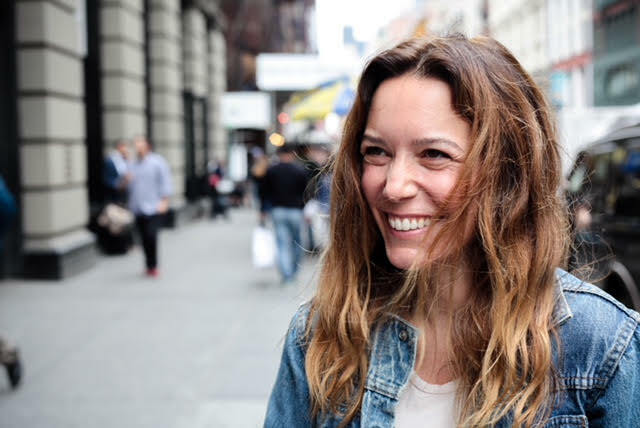 This entrepreneur is currently based in Brooklyn, where she lives with her husband, two young children, and dog Pokey. Below, Jacqueline shares how she wraps up a busy day of work. 6:00 P.M. This is the time of day where mom guilt usually starts to set in and I think about wrapping up the workday to head home. What that usually means is I’m buzzing around the office, asking for last call on anyone who needs me, and cleaning up the mess I made throughout the day. 6:45 P.M. By this time I’m usually in an Uber on my way home to Brooklyn. I’m definitely starving, trying to figure out what my plan will be for dinner while catching up on whatever I missed on email & Slack for the day. Sometimes I call my family for a chat – the car ride home is really my only downtime in the day. 8 P.M. This is usually when the weird family dance party is coming to an end and we’re trying to force the kids upstairs to shower. At this point we have listened to the entire Hairspray soundtrack, broken up 3-6 sibling fights, and comforted each child for a tiny injury. We’re both totally exhausted and ready to put the kids away – haha. 8:30 P.M. We have finally shut the last kid’s door and turned on the last nightlight. The house is quiet but needs some fixing up. We head downstairs to sweep up the mess – toy cars that are shoved behind pillows, a magic wand that has been in our lives for five years and still gets play, some cheerios from the shag rug, it’s all very glam. 9 P.M. Scot (my husband and co-founder) starts trying to convince me it’s a good time to go to bed. I beg for one Netflix show. 9:05 P.M. I win. We start watching Mrs. Maisel and I make a huge bowl of berries to snack on, convince Scot that we won’t be tired tomorrow and to “shhhh” and enjoy the show. 10:00 P.M. We start to shut it down. I love to take a shower at the end of the day. It’s where I do my best thinking. It gives me a chance to reflect on the day, and start tomorrow fresh and clean. I use my Youth to the People Superfood cleanser, PAI rose oil to moisturize my face, and Sol de Janeiro bum bum cream pre-bed. Time I go to bed: Usually around 10:30pm – and Scot is always pissed that it’s too late. Oh well! I usually roll over and online shop for 20 minutes (aka abandoning carts all over the internet) and then it’s truly lights out for me – ready to do it all again the next day starting with my morning cardio & strength workout!